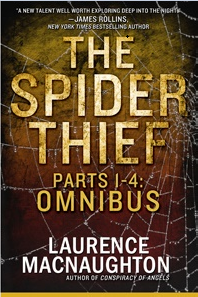 Can the E-Myth show you how to write a novel? In The E-Myth Revisited, bestselling author Michael Gerber doesn’t breathe one word about how to write a novel. But the priceless wisdom in these pages might change how you think of yourself and your writing process. In a nutshell, the E-Myth puts forth the idea that most businesses are not, in fact, started by entrepreneurs, but by skilled workers (Gerber calls them Technicians). Here’s the quick and dirty version. Ready? You have three personalities inside you: the Entrepreneur, the Manager and the Technician. The Entrepreneur is the visionary, always looking ahead to the future. This part of you is all about coming up with new concepts and ideas. The Manager is all about control. Organizing, putting things into place, keeping things tidy, etc. The Technician is the one who wants to get things done and just do the work. Most small businesses are started by natural Technicians who are good at what they do and simply want to do it on their own, without “the boss” breathing down their necks. The problem is, you need a boss, even an internal one. All three of these personalities are constantly duking it out inside you, and you have to somehow keep a balance between them if you want to operate at your best. In other words, if you ignore your inner Entrepreneur, you won’t plan ahead; if you ignore your Manager, you won’t stay on top of things; and if you ignore your Technician, you won’t get any work done. Pretty neat theory. But what does this have to do with learning how to write a novel? Plenty. As a writer, your inner Entrepreneur is the one who dreams up the concepts that eventually turn into your stories. Because your ideas are so important, you have to constantly nurture and listen to your Entrepreneur. If you shut him (or her) down too early in the writing process, you’ll just grab the first story concept that comes to mind instead developing a bunch of good ideas and choosing the best ones. Likewise, your inner Manager helps you plan out how to write a novel, ensuring that you have a clear beginning, middle and end. And your inner Technician is the one who does the actual day-to-day writing. Because it’s natural to love writing more than brainstorming or planning, we often just sit down and start pounding the keys without a second thought. But that’s dangerous. It’s too easy to jump right into writing the first big idea that comes along, without taking the time to let our inner Entrepreneur brainstorm a bunch of other, possibly better, ideas. Or without giving our Manager permission to plan things out, so that the story is properly structured. Instead, we let our Technician rule us, going to work day in and day out, working harder and harder without necessarily getting anywhere. Just like a lot of business owners. But there’s a way to beat that trap. Listen to all three of your writing personalities. Plan ahead, stay organized and get the work done, all in due time. Want to learn more? 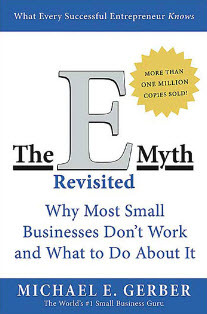 Check out the E-Myth books in the business section of your local bookstore. Who knows, you might even be tempted to start your own writing business while you’re at it!